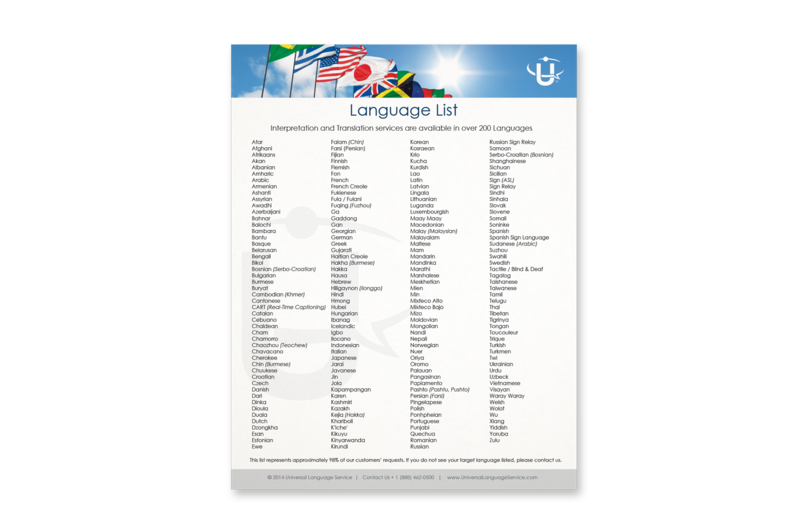 Convenient language list represents approximately 98% of our customers’ requests. 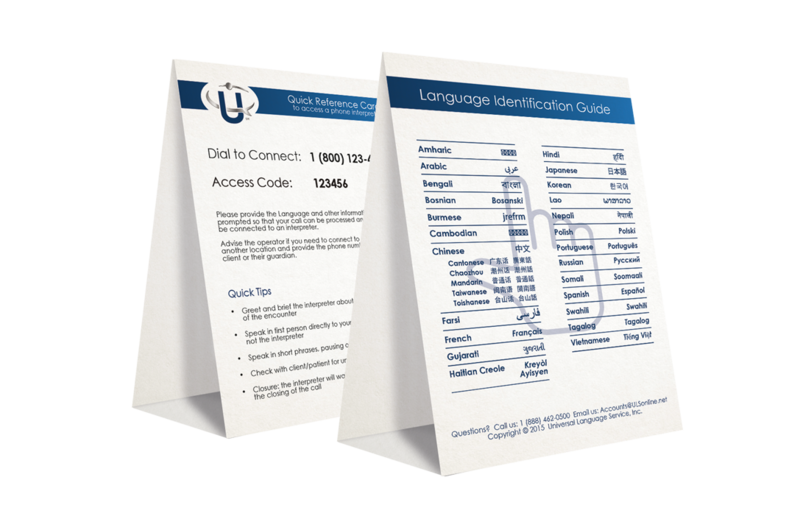 Create awareness that interpreting services are available in the top 28 languages. 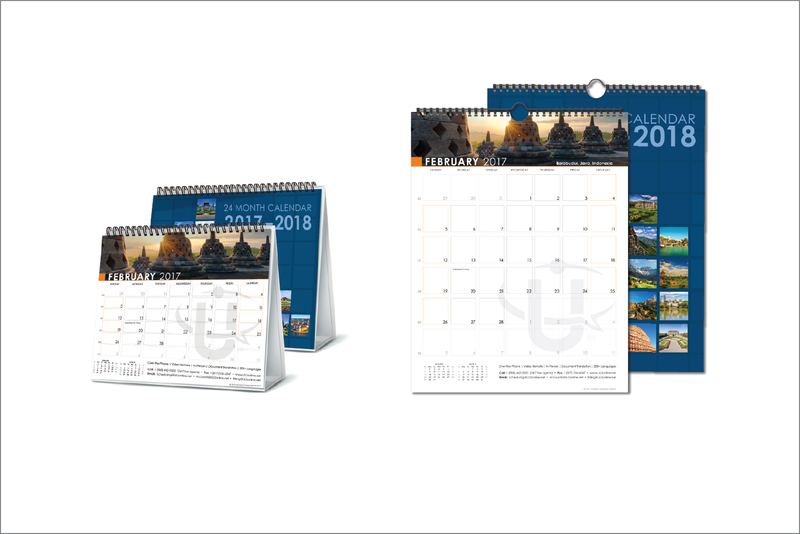 Beautiful Wall or A-frame Desk calendar with destination photos from around the world. 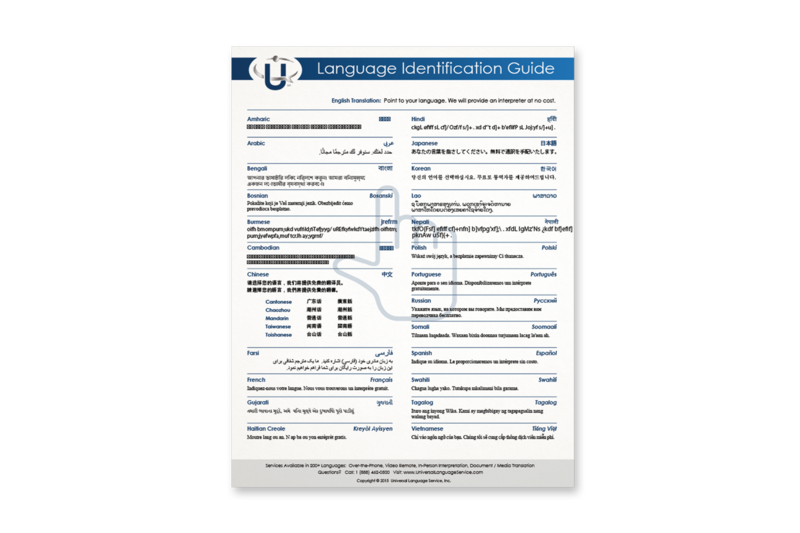 Convenient 1 1/4″ x 4″ labels with info to request in-person interpreters can be placed on phone or near computer. 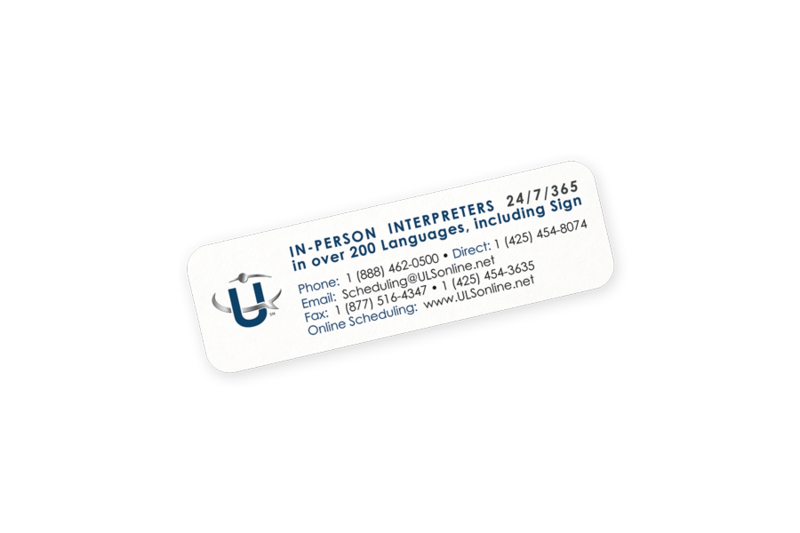 Create awareness that interpreting services are available. Features instructions to access phone interpreter on back. 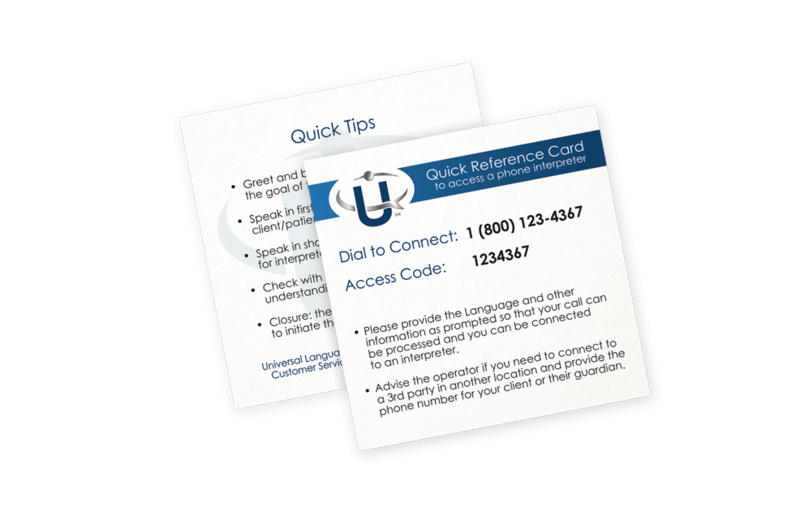 This is a 3″ x 3″ card that contains instructions to access a phone interpreter, along with quick tips on back. 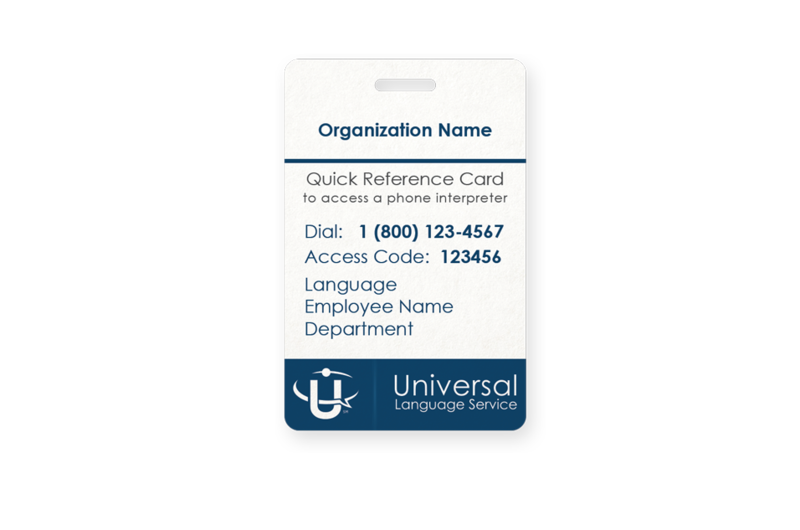 Premium plastic card that can be attached to an ID badge, with instructions to access a phone interpreter. 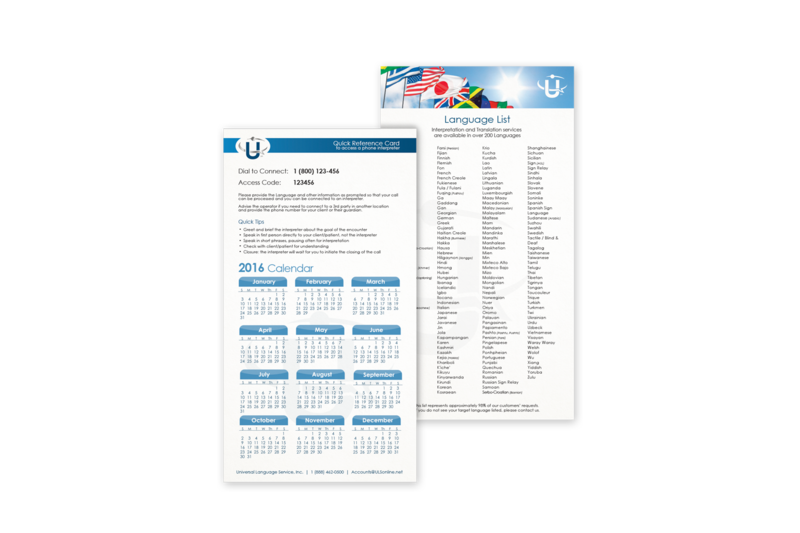 Convenient 11″ x 6″ card with instructions to access a phone interpreter, 12-month calendar, and language list on back. Current clients may order complimentary materials to promote awareness and provide easy access for staff. Access materials will be customized with your specific access information. Please indicate which materials you would like to receive and in what quantities (limitations may apply).